Alan works in three main fields: counselling psychology in private practice, supervision of counselling professionals working in various agencies in Brisbane and around Australia, and in education and training within universities, international training faculties and within the international community of educators. Alan works in universities in Queensland and as well as with the faculty for training Process Oriented Psychology in Australia and India. He is a registered Psychologist in Australia and a recognised Trainer of Clinical Supervision with the Australasian Association of Supervision. 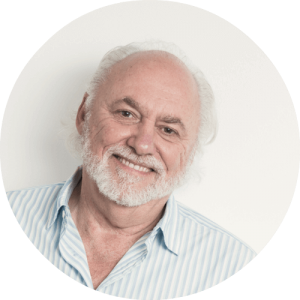 In private practice, Alans works with individuals and couples for therapy, provides clinical supervision for other therapy professionals, and provides professional development for counsellors through their professional associations based on his 40+ years of clinical and teaching experience. Alan’s career started with working with young homeless people while studying Community Welfare with training in Gestalt Therapy and Family Systems Therapy. Since this time Alan completed his psychology training and worked within the Family Court of Australia with separating parents and at universities with students and staff. He is the Co-President of the International Association of Process Oriented Psychology. In this role he initiated the IAPOP International Training Council where he works to support collaboration and cooperation between Process Work schools worldwide, as well as the IAPOP Research Committee that provides direction and support for research into the efficacy of Process Work. Alan is himself an experienced researcher, conducting research into student engagement with study and the parallels to workplace engagement, performance, and motivation; evaluating the student experience; the development of the Career Dream intervention with subsequent research conducted in Ireland; the concept of Deep Inclusion within group participation; the higher motivation of people when informed by their dreams; and a Process Work approach to working with anxiety. Alan developed and published Process Oriented Supervision; a paradigm extension which incorporates the Process Work intervention focus of using parallel processes, as originally embedded in Freud’s work on transference, as well as the ethical, duty of care and clinical knowledge needed with each client. This work was published in 2002. Alan also developed and delivers training to clinicians in Process Oriented Supervision, aligned with the International Association of Process Oriented Psychology and Psychotherapy and Counselling Federation of Australia training standards for supervision, and meeting the membership requirements for the Australasian Association of Supervision.